SAN DIEGO (KGTV) – A local group is teaming up with a non-profit organization to help fight the unemployment rates among young adults in San Diego. “We said ‘yes, of course’ as soon as Casa Familia approached us with this wonderful and innovative endeavor,” Melgoza said. El K-Fe hired six baristas, graduates of Casa Familiar’s youth barista training program. The $20,000 coffee cart now sits in the central hub of the health center. The baristas and managers are all young adults who have gone through many months of training. “It’s kind of giving hope to the youth that think that they don’t have a chance. They have a chance; we all have a chance. I started out like them now I’m looking forward to what the future has and what I can do with this and what we can do as a team,” said Dominguez. Kritzia & Brian came to San Ysidro Health for their prenatal care. Our Family Resource Center followed their progress, and the medical staff ensured Kritzia got the medical care she needed. Kritzia & Brian attended their prenatal visits and took advantage of every opportunity to ensure a healthy pregnancy and delivery. All their dedication paid off, and their baby was born healthy and strong. Kritzia & Brian are committed to providing her a good life. That is when the really hard work comes in—and San Ysidro Health is there for them. We provide counseling, nutrition education, lactation education and more. For example, when Kritzia & Brian let the Family Resource Center know they didn’t have access to a car seat, the staff person leapt into action and gave them a new, safe car seat. This is just one example of how San Ysidro Health team members go above and beyond to ensure our patients have the support they need to live healthy and happy lives. We will continue to be a partner in health with Kritzia & Brian and their baby as long as they need us—providing excellent, compassionate care. San Ysidro Health is a place where children come to get the care they need to grow into strong and healthy adults. We have invested in the health of our children for nearly 50 years, and payoff has been huge. Ten of thousands of children have grown into healthy, successful adults because of the extraordinary, compassionate and comprehensive care we provide. An example of extraordinary is the recent care provided by a San Ysidro Health WIC nutrition aide to a new client. The aide discovered that her client in need of services had fled her home due to domestic violence. This soon-to-be mother had left everything, including all the supplies she had gathered for her soon-to-be born baby. Our WIC staffer listened to this story of desperation and went into action. 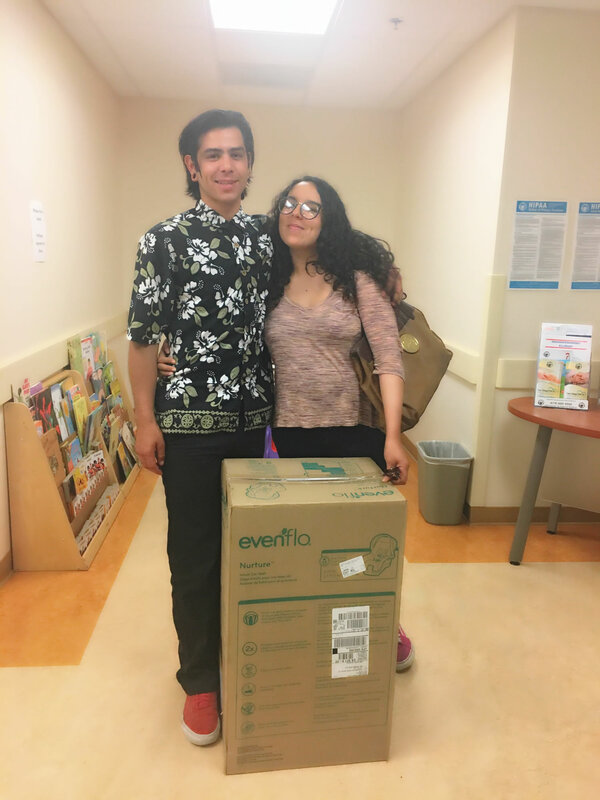 She gathered baby gear and supplies from her sources to ensure this expectant mother would be greeted with a surprise ‘mini baby shower’ at her next appointment. The client was wowed by this extraordinary effort and shared the story with the supervisor. This powerful personal commitment and our staff’s gesture of kindness is just one of thousands of stories of extraordinary care our staff and volunteers provide every day. San Ysidro Health has lived this commitment for nearly 50 years, but to continue we need your support. Please consider a gift to make a difference in the lives of patients in our community. You, too, can be extraordinary! Check out our new TV spot on NBC 7 San Diego! Share with friends and family and call today to set up an appointment at one of our 13 clinics across the county. The event was attended by 120 people including community members and their families as well as local elected officials and community leaders. Elected officials who attended and spoke at the event include: Mayor Ron Morrison, City of National City, Ben Hueso, CA State Senator, 40th District and Greg Cox, San Diego County Supervisor, First District. San Ysidro Health Center also recognized the City of National City staff and presented them with a certificate of appreciation for their dedication and collaboration on this project. Guests had an opportunity to mingle with other community members as well take tours of the health center. Food and refreshments were also available for guests as part of the community dedication to celebrate the official opening of the center and local entertainment provided by the Sweetwater Union High School Mariachi and Samahan Rondalla. Editor’s note: This is the second in a three-part series. Here’s part one. At a prenatal yoga class in San Marcos, Lisa Bandong takes her students through their poses. “Good! I see shoulders trying to relax down, beautiful,” she said. As Bandong walks around the room, she glances at each student, and offers some corrections. Then she addresses the whole class. Lisa Bandong, who teaches a prenatal yoga class in San Marcos, is shown on Aug. 9, 2016. Some of these women are ready to give birth any day. Pricila Marquez had her son, Axel, a couple of months ago. She likes staying connected with her yoga friends. Marquez has been telling them about her challenges with breast-feeding. Pricila Marquez is shown sitting at a prenatal yoga class, on Aug. 9, 2016. Before the advent of formula, virtually all girls grew up seeing mothers breast-feed their babies. Lactation consultant Vicki Wolfrum, who died in October, said we no longer live in a breast-feeding culture. That’s why many new moms need help with breast-feeding. Carolina Alban-Stoughton, who gave birth to her son, Kai, earlier this year, said she couldn’t have breastfed her baby without it. “You really need guidance. You really need someone to walk you through it, and there’s really a science behind it,” she said. Hospital staff typically provide the kind of hands-on assistance that new moms need. Stephanie Jardin holds her daughter, Avery, on Aug. 9, 2016. Stephanie Jardin, who recently gave birth to her second child, remembered learning some techniques, but they just didn’t take. “They give you all the basics, right from the get go, but you’re just kind of overwhelmed that just you just brought life into the world, that it’s kind of in one ear, and out the other,” she said. For new moms who still need help with breast-feeding after they go home, there are support groups and lactation consultants. Those resources are easier to find in affluent parts of the county like La Jolla and Encinitas. They’re much harder to come by in poorer areas like Barrio Logan and Southeast San Diego. Women who live in these areas face other barriers to breastfeeding, said Dr. Yelennia Palacios, a medical resident at the San Ysidro Health Center. “Here, in our community, the women may be more likely to be single mothers, they may not have family as readily available to help. And they may have to go (back) to work earlier than others, too,” Palacios said. 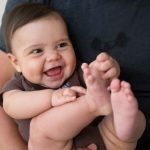 At their main clinic in Chula Vista, Palacios and other staff have created a support group for new moms. At a San Ysidro Health Center clinic in Chula Vista, Mayra Moreno looks on as her baby daughter, Ambar, is examined by Dr. Yelennia Palacios. On a weekday morning, Mayra Moreno comes in with her three-month-old daughter, Ambar. She tells Palacios how things are going. When Moreno came home from the hospital, she wasn’t totally comfortable with breast-feeding. Luckily, she got some help from Layla Fitzhugh, the Health Center’s in-house lactation consultant. Fitzhugh uses a puppet and a mock breast to show new moms how to position their babies. Mayra Moreno breastfeeds her daughter, Ambar, as lactation consultant Layla Fitzhugh looks on, on Sept. 2, 2016. Palacios said not all women are familiar with the health benefits of breast-feeding. And for new moms who are feeling overwhelmed and uncomfortable with breast-feeding, the ease of formula can be hard to resist. Even so, Palacios said it’s important to keep a couple of things in mind. Across the nation, experts predict a shortage of approximately 90,000 doctors within the next five years. While growing demand for quality health care and workforce challenges have created a doctor shortage across all areas of medicine, community health centers are at a particular disadvantage when it comes to recruiting and retaining high quality clinical staff because they often serve isolated and underserved communities, and typically offer lower salaries compared to private hospitals and health systems. About 95 percent of all health centers currently experience at least one clinical vacancy, and California in particular will need an estimated 8,243 additional primary care physicians by 2030. A consistent doctor shortage means community health centers are less equipped to support and care for their patients — typically low-income and uninsured or underinsured residents, many of whom represent ethnic and cultural minorities. Some health centers also report challenges with recruiting clinical staff who have sufficient language skills or cultural competency to effectively treat their diverse patient populations. Without adequate primary health care resources, this population is more likely to go to the emergency room for treatment, even if the illness or injury is not severe, which puts unnecessary strains on emergency rooms. Research has shown that if all clinical vacancies at community health centers across the country were filled, health centers could serve 2 million more patients. In addition to reducing health care costs for the entire community and providing adequate care to those most at-risk, providing quality health care for our aging population is another specific goal in recruiting more primary care doctors. As baby boomers age, creating an increased demand for specialized health care, there is a very limited supply of physicians committed to providing services to senior/Medicare patients. Here in San Diego, the number of people 65 and older is expected to double by 2030. Historically, most physicians have not pursued additional training required for geriatrics, and every year as much as 70 percent of geriatric fellowships available at medical schools across the country go unfilled. One of the main contributing factors to this shortage is inadequate reimbursement for geriatric services by Medicare. If not addressed, the baby boomer generation will outnumber the supply of physician services available to them, and their health will suffer. In order to combat the permeating doctor shortage, community health centers must become more proactive in recruitment efforts. Traditionally, community health centers have recruited highly-trained, mission-driven physicians committed to improving the health of the community. However if able, centers must consider increasing salaries to better compete with private providers for top clinical talent. San Ysidro Health Center has increased entry level compensation for physicians by 67 percent since the implementation of the Affordable Care Act. The increase has been necessary to compete with health care systems such as Kaiser, Sharp and Scripps who provide incentives such as sign-on bonuses and richer benefit packages. Utilizing state and federal loan repayment programs is also key to enriching total compensation packages — although programs such as the National Health Service Corp (NHSC) have become more difficult for physicians to obtain in Southern California. Early exposure to community health centers, whether it be as a member of the community, as a medical student or resident, helps develop and increase an appreciation for and dedication to the community. Many health centers attract physicians who either grew up or trained in their community, which is beneficial in providing culturally appropriate care for patients. In San Diego alone, one in six residents relies on community centers for health care. Community health centers must take proactive measures to enhance recruitment and retention efforts and better compete with private hospitals and health systems to ensure adequate clinical staff to keep our friends, family and neighbors healthy, and help reduce health care costs for all. Mattson is president and CEO, San Ysidro Health Center; Carriedo-Ceniceros, MD, is vice president and chief medical officer, San Ysidro Health Center. Doctors in San Diego are working to make sure low-income patients of color are included in a long-term nationwide study on genes, lifestyles and environments and how they affect our health. The Obama Administration’s Precision Medicine Initiative is a long-term nationwide study aiming to find out how people’s health can be influenced by individual differences in their genetics, lifestyle and environment. Doctors in San Diego are participating to make sure low-income patients of color are included in the research. The project’s goal is to track 1 million people over many years. Using approaches like gene sequencing and mobile health monitoring, researchers hope to determine how a person’s health is influenced by their unique traits and surroundings. The National Institutes of Health on Friday announced that six health centers across the country, including the San Ysidro Health Center, have been chosen to recruit patients from communities that have not always been well-represented in this kind of research. “We always want to include the diversity of people that live in the United States,” said Dr.Gregory Talavera, chief of research at the San Ysidro Health Center and a professor at San Diego State University. “Inclusion of lower income or disadvantaged populations is going to make sure the medicine and therapies are available to all individuals in the United States,” he said. Talavera says the center plans to enroll 50 to 100 patients in the study over the next year, with hopes to sign up more patients in the future. He and his colleagues are seeking up to $250,000 in NIH funding for the initial enrollment. Talavera said patients served by the San Ysidro Health Center are less likely than their middle-class peers to have access to high-quality food and smartphones for mobile health monitoring. He said the everyday stress low-income people face can make it difficult to access health care and maintain treatment regimens. “Their existence in this different environment is important to include in a study like this,” Talavera said. Other San Diego researchers are also playing a role in the Precision Medicine Initiative. On Wednesday, the Scripps Research Institute in La Jolla announced nearly $120 million in federal funding to help oversee the study for the next five years. SAN DIEGO – There are countless women in our community making a difference, and today we give them the acknowledgment they deserve. It’s International Women’s Day and on Tuesday night, 16 women will be getting a very special honor from State Assemblywoman Lorena Gonzalez. The honorees include labor organizers, champions of education, advocates for religious and cultural tolerance – and defenders of women’s health. “From the moment we know a mom is expecting, we connect her with prenatal care. Our goal is to have every child thriving by kindergarten,” Ana Melgoza said. 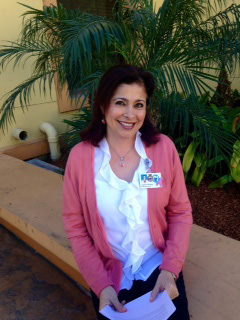 Melgoza helps run the San Ysidro Health Center. “We are living out the mission of our founding mothers, who established the clinic in 1969.” Now, there are clinics all over the county, where 90,000 families receive dental, medical and behavioral healthcare. Ashley Nell Tipton is another woman of the year. After overcoming bullies, she now stands tall as a successful woman who is inspiring people all over the world. “It makes me very proud of where I’ve come from and the sacrifices I’ve made,” Tipton said. She was taught how to sew at the age of seven by her grandma. The passion for making clothes that fit her body awarded her the top spot on the show, Project Runway. “I’m all about giving women the option. I’m giving them clothing that makes them feel good about themselves,” Tipton said. She’s been rising to stardom for being the first designer on the show to make plus size designs, and the first to feature a plus-size collection on the runway at New York Fashion Week. Ashley Nell Tipton hinted that very soon her garments will be available in a major department store. Program teaches medical professionals how to address obstacles to care, such as isolation and homelessness. Institutional Partners: San Ysidro Health Care and St. Paul’s Chula Vista Program for All-Inclusive Care for the Elderly (PACE), which serve many older Latinos, and the VA San Diego Healthcare System, which serves a number of homeless veterans and people in rural areas. For the homeless man with diabetes, that means helping establish a safe living situation, connecting him with social service meal delivery programs and services and ensuring regular treatment at a community health clinic. 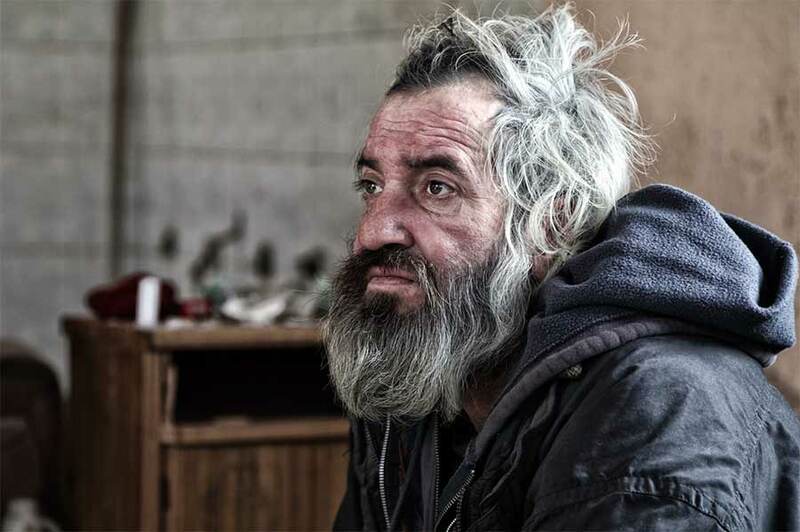 Such interventions may seem out-of-the ordinary, but for Chau this comprehensive real-world approach is exactly what’s needed to better care for homeless seniors as well as older Americans from medically underserved populations. A board-certified geriatric specialist, Chau heads the new Geriatric Scholars program in the Division of Geriatrics, part of the Department of Medicine. The program will help train health workers in San Diego County how to care for the elderly, with a particular emphasis on homeless seniors, older Latinos in economically disadvantaged areas and seniors in rural communities. Geriatric Scholars is funded by a $2.5 million grant from the U.S. Department of Health and Human Services and is part of a $35.7 million national Geriatrics Workforce Enhancement Program, which seeks to improve the quality of health care for older Americans. The UC San Diego Geriatric Scholars program, launched in July, will educate 12 trainees per year, producing a total of 36 graduates over the three-year grant period. After that, a continuing education program being developed under the grant will be used to train additional health professionals regionally and nationally, said Chau, who is also medical director of the Community Living Center, the San Diego VA hospital’s skilled nursing facility. Chau said the interdisciplinary program will teach doctors, nurses, social workers and other allied health professionals about how to handle the special needs and challenges of the elderly, keeping in mind economic, cultural or logistical barriers to health care. The program will also include a geriatrics pharmacy component through a fellowship recently established through a collaboration with Jonathan Watanabe, an assistant professor of clinical pharmacy at Skaggs School of Pharmacy and Pharmaceutical Sciences. Ultimately, Chau said, this broader out-of-the-box approach will be less costly to society and better for the patient, noting that without help such individuals may end up seeking more expensive care such as emergency rooms or hospitals. Another aspect of the geriatric program will be educating trainees about cultural differences that can affect patient care. “Some older Latinos in border communities may not speak English or they may not clearly understand their diagnosis due to cultural differences,” said Chau. She said scholars will be taught awareness and culturally sensitive approaches for communicating health information. Graduates will be required to complete 120 hours of continuing education courses, including lectures, workshops and substantial patient interactions in medical clinics run by three institutional partners: San Ysidro Health Care and St. Paul’s Chula Vista Program for All-Inclusive Care for the Elderly (PACE), which serve many older Latinos, and the VA San Diego Healthcare System, which serves a number of homeless veterans and people in rural areas. For rural areas, trainees will use Internet-based telemedicine technologies to see elderly patients in their homes or in medical clinics. “A nurse can bring a laptop into an elderly person’s home, which allows us to speak directly with, examine and assess the patient,” said Chau. The program also will incorporate innovative technologies to enhance distance treatment, such as wound care, which is being assisted by Dr. Kevin Broder, a plastic surgeon and wound care specialist at the San Diego VA Hospital. 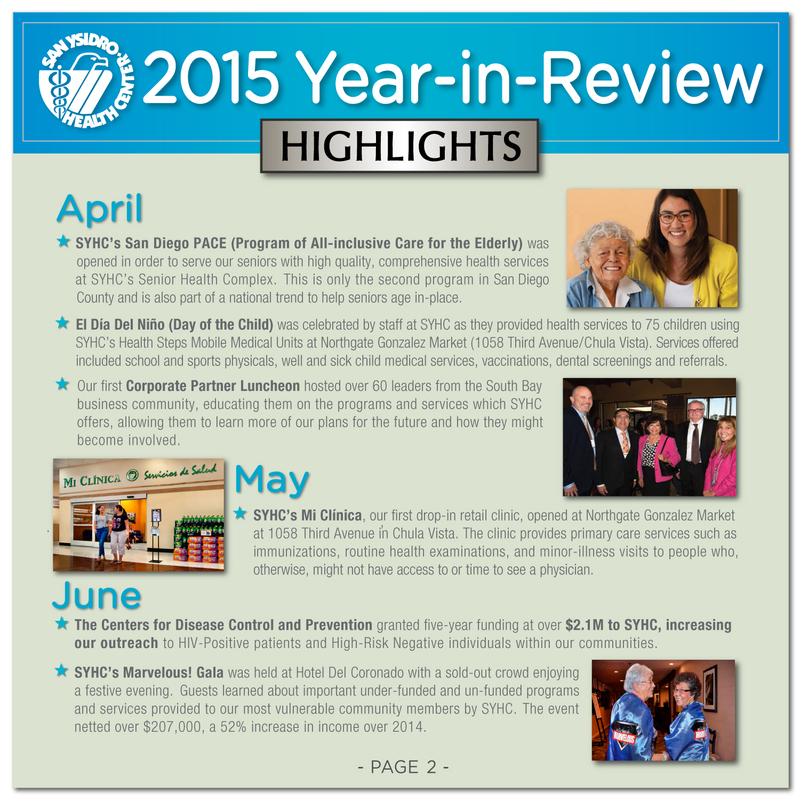 San Ysidro Health Center Introduces Additional Services, Sites & Programs Throughout 2015. 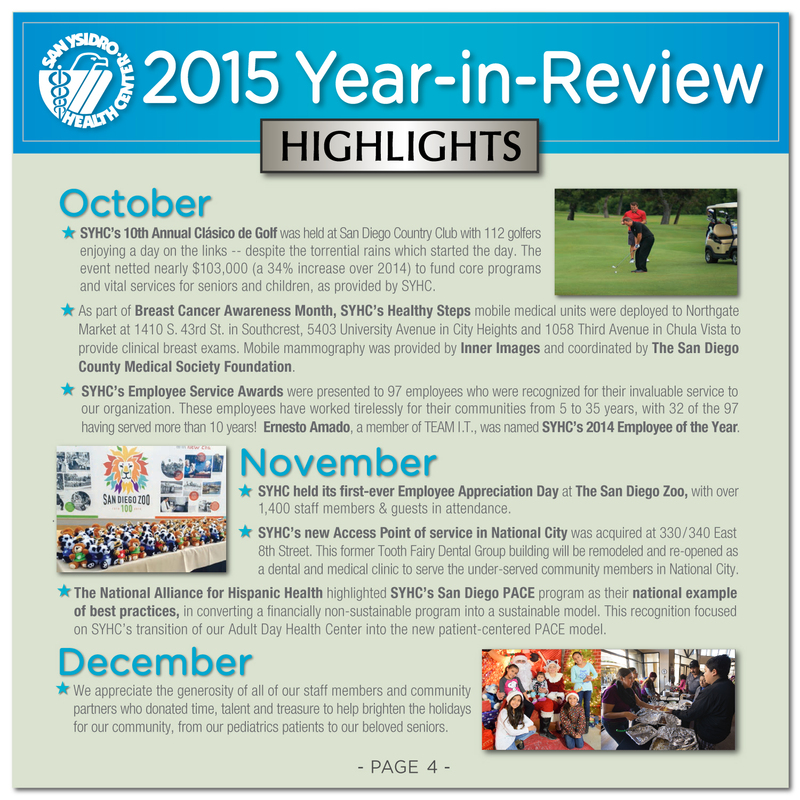 Here are just some of SYHC’s accomplishments made during this busy year, as we focused our efforts on serving multiple San Diego County communities with excellent, affordable, patient-centered care for the entire family. 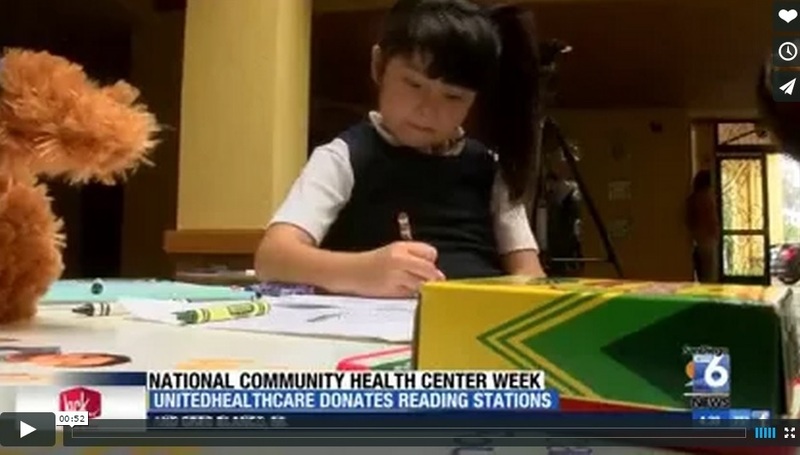 San Ysidro Health Center Kicks-off National Health Center Week with Donation of Reading Stations and Children’s Books by UnitedHealthcare to Encourage Early Reading and Healthy Living among Children. A new model of prenatal care has emerged that doctors say may improve maternal and child health. It’s called Centering and brings together pregnant women who have a similar due date. The group functions as a support system.At the Chula Vista office of the San Ysidro Health Center, a group of mothers-to-be are taking charge of their health. As one woman checks her blood pressure, another tests her urine for signs of excess sugar or protein. A medical resident examines a pregnant woman at the San Ysidro Health Center, July 27, 2015. The women also spend a couple of moments with a medical resident, who measures their tummies and monitors their babies’ heartbeats. After they make the rounds, the women record all of their numbers in a notebook. Then they sit around in a circle and share their feelings about breastfeeding. Scripps family medicine doctor Shaila Serpasfacilitates the meeting with a light touch. Dr. Serpas explained this model of care is calledCentering. It brings together pregnant women who have a similar due date. The group functions as a support system. Dr. Shaila Serpas and second-year medical resident Karen Law are pictured at the San Ysidro Health Center, July 27, 2015. The Centering program starts around the second trimester and goes through delivery. Each two-hour session covers different topics based on how far along the women are in their pregnancy. But it’s not a lecture series; it’s a series of group discussions. Dr. Serpas explained by taking part in these and other activities, women gain more understanding about their own health. Centering takes the place of regular one-on-one prenatal visits. This kind of group healthcare can save clinics money. But second-year medical resident Karen Law, who also works with the Centering group, said it has another, more important advantage over a typical doctor’s visit. “I think the group setting is great, because it provides a longer timeframe for women to have their questions answered, and topics might come up that they would not have even thought of themselves, or that I would not have time to address in the short 15-minute session. But having the two hours gives you a lot of flexibility,” Law said. Anaiza Dearte has the earliest due date of anyone in her Centering group. She’s due on August 19. Anaiza Dearte, who’s expecting her first child, is shown at the San Ysidro Health Center, July 27, 2015. Dearte said the other women have been terrific. “Like, sometimes I feel something weird, or I feel sick or something. I just call them, and they help me,” she said. Scripps and the San Ysidro Health Center have collaborated on the Centering program for six years. About 150 women have taken part. Scripps officials say compared to women who get one-on-one prenatal care, Centering participants tend to have higher rates of breastfeeding, more appropriate weight gain during pregnancy, and have higher use of long-acting contraceptives after delivery. Scripps family medicine doctor Karla Garcia said this model of group care could be used to help people manage their diabetes, or hypertension. The American Academy of Family Physicians says nearly 13 percent of its members conducted group visits in 2010. 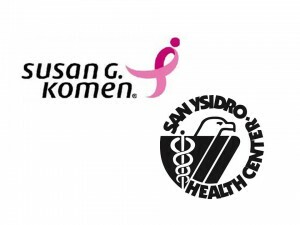 SAN YSIDRO — The San Ysidro Health Center has been awarded a $40,000 grant from Susan G. Komen San Diego to support an early detection and education program designed to reduce breast and cervical cancer in Latinas. 2-1-1 San Diego was awarded money for two of its programs — Breast Cancer Education for African Americans, and Health Navigation Program: Breast Health Component. Jewish Family Service of San Diego also received grant money for two programs — Breast Cancer financial Case Management and Assistance, and Breast Cancer Patient Care Coordination. We continue our Community Spotlight series and shine a bright light on Laura Paniagua! For the past 13 years, Ms. Paniagua has served as a Care Advocate for the Family Resource Center at the San Ysidro Health Center. This demanding job requires great knowledge of community and clinic resources, as well as patience and understanding to effectively serve local families. Laura works hard to provide the community of San Ysidro with the tools they need to access care and address their immediate social needs. Please join me in thanking Laura for her impressive and tireless service to our district! For the past 13 years, Laura Paniagua has served as a Care Advocate for the Family Resource Center at the San Ysidro Health Center (SYHC). This demanding job requires great knowledge of community and clinic resources, as well as patience and understanding to effectively serve local families. Laura works hard to provide the community of San Ysidro with the tools they need to access care and address their immediate social needs. Ms. Paniagua works with patients that need vital assistance such as food, housing, and/or domestic shelter. She is quick to rise to the occasion and go above and beyond for any employee, patient, or community member in need assistance. One such example is when, on her way to work, she encountered an elderly man with blistered hands using a manual wheelchair. After a quick evaluation, she noted that the man was homeless. Putting her problem solving skills into action, she used the SYHC clinic address to get him a motor scooter. Laura first became acquainted with SYHC 22 years ago when she arrived as a patient with her three children. Pleased with the excellent medical care her children were receiving, Laura channeled her desire to help the community by volunteering in the social service department. This opportunity allowed her to work in the various clinic sites, including the nationally recognized Maya project within the dental department. Please join me in thanking Laura for her impressive work in serving our community! Representing portions of San Diego County and all of Imperial County. Covered California Open Enrollment Is Now! SAN DIEGO, CA—San Ysidro Health Center is once again partnering with Covered California to help people secure affordable and comprehensive health insurance. Enrollment for Covered California plans started November 15 and ends February 15. Individuals must apply by December 15 to avoid fines and get coverage by January 1. With nearly 30 certified bilingual enrollment counselors in over 15 locations, SYHC is ready to assist individuals and families find a free or low-cost health insurance program that fits with their budget. 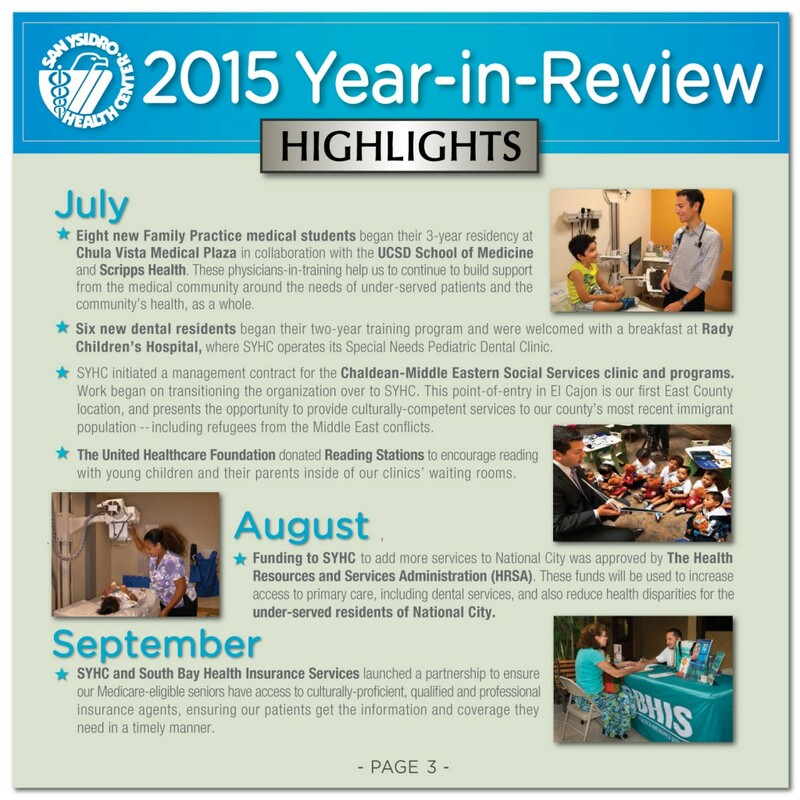 The goal of SYHC is to enroll 2,000 individuals during the current enrollment period. To reach this goal, SYHC is implementing a variety of outreach and enrollment strategies designed to reach all segments of the population, with special emphasis on Latinos and African Americans, who according to Covered California enrollment data were underrepresented communities among those newly enrolled in the last enrollment period. SYHC Hotline (619) 600-3000 – In less than 10 minutes, a person can find out whether he/she qualifies for free or low-cost health insurance, and possibly financial assistance to help pay for it. SYHC bilingual counselors explain options and help with the application process. This is a free service and completely confidential. Targeted Education – Increasing “education” efforts (as opposed to awareness) and tailoring of messages and materials according to the needs and priorities of targeted populations. Messages must be relevant to diverse audiences; create or modify existing collateral to clarify, dispel myths and alleviate fears. Enrollment – Extended hours on weekends and after-hours at three SYHC clinic locations and community locations (storefronts) in San Ysidro, Chula Vista and Southeast San Diego. Enrollment teams have capacity to go “mobile”—setting up shop at local businesses and other locations for one-time enrollment events. Signature Events – Partnerships with local community-based organizations, media and elected officials for enrollment events such as the very successful ACA Town Hall & Resource Fairs held in four cities with the highest uninsured rates. Expansion of Community Partnerships – New partners include business associations, chambers of commerce, tax preparers and immigration lawyers to expand reach and assist applicants. SYHC is also exploring partnerships with local hospitals to refer patients that need greater support and assistance with enrollment or post-enrollment support, such as case management. Expansion of SYHC web site – Step by step information and links to essential Covered California information, insurance options, how to apply, and what to expect once you have enrolled. For more information about SYHC Covered California Education and Enrollment and SYHC programs and services visit www.syhc.org. October 22, 2014, SAN DIEGO, CA— The San Diego County Board of Supervisors issued a proclamation yesterday recognizing October 21, 2014 San Ysidro Health Center ‘Live Well San Diego’ Day throughout San Diego County. This recognition marks the first time a community health center located in Supervisorial District 1 receives the important “Live Well” designation. The “Live Well San Diego” initiative unites all sectors—businesses, schools, military and veteran’s organizations, community and faith-based organizations, and all levels of government—to bring about positive health outcomes. San Ysidro Health Center partners with the County on the Live Well San Diego Central and South Region Leadership Teams and is part of the Live Well San Diego South Region Building Better System subcommittee. SYHC has also partnered with the County to host Affordable Care Act enrollment town halls. As part of the festivities after the formal program guests and the general public were invited to participate in the 2014 Wellness Fair & Partner Showcase on County Administration Center grounds highlighting County HHSA programs, SYHC programs and services and other regional Live Well San Diego partners. October 15, 2014, SAN DIEGO, CA—Binational elected officials, business and civic leaders were on hand to congratulate San Ysidro Health Center for being selected this year’s recipient of the Pioneer Award from South County Development Council at SCEDC’s 24th Annual Economic Summit held last week at San Diego Convention Center. 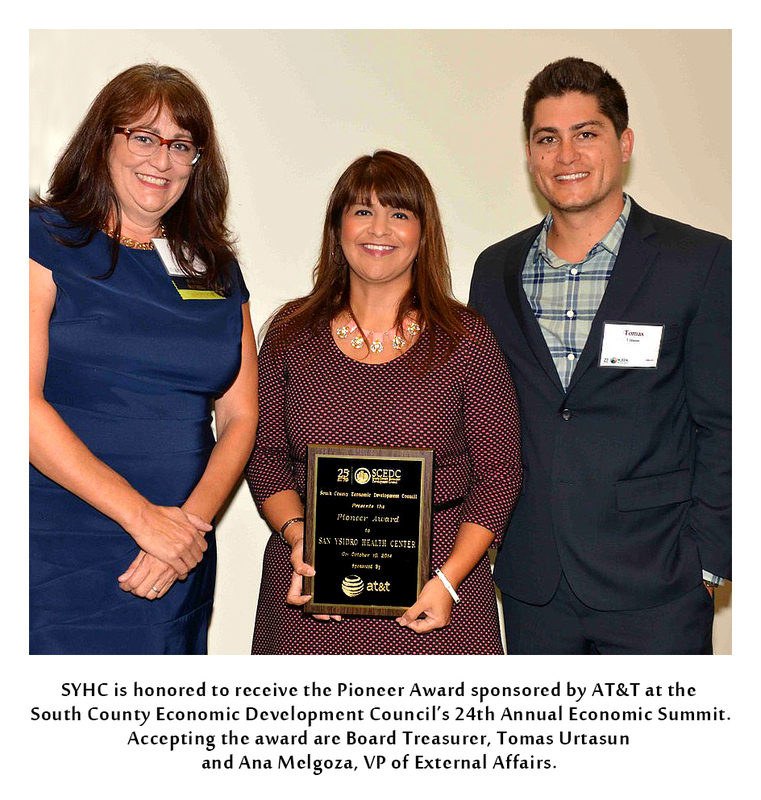 The 2014 South County EDC Pioneer Award was sponsored by AT&T and recognizes “visionary contributions that are setting a new course for the South County Region.” South County EDC is a non-profit organization formed to promote education and encourage economic development in the South San Diego County Region. Staff at the health center use art class for therapy and as a fun time for the seniors at the center. In 1969, a group of Mexican mothers in San Ysidro came together to solve a major problem: This border community didn’t have an affordable medical facility where families could go for health care needs. So they contacted several doctors and organizations, and the San Ysidro Health Center, then called El Centro de Salud de la Comunidad de San Ysidro, was born in a very, very rudimentary way, inside a small house where a doctor would go and offer free consultations. Forty five years later, the San Ysidro Health Center, with an army of more than a 1,000 employees and several locations throughout the southern part of San Diego County, continues the original dream of the Founding Mothers of providing quality health care to those who need it most. The San Ysidro Health Center will celebrate 45 years of success and inspirational stories with a gala on June 28th, at the Hotel Del Coronado, where funds raised from the event will go towards expanding senior services, facilities, and programs. Bustos said that SYHC currently meets this demand by providing holistic, patient-centered senior health services for older adults who struggle with Dementia, Alzheimer’s and other illnesses and offering much needed respite care for family members and caregivers. But according to Rosana Scolari, vice president of Senior Health Services for SYHC, the demand is expected to grow, and warns that by the year 2030, the percentage of people 55 years old and older will double in the South Bay, in areas like San Ysidro, Chula Vista, and National City. “Again the SYHC is looking towards the future and it is preparing to respond and meet the needs of our community,” she said. In October, the Senior Health Center will open to provide primary healthcare services to patients 55 and older who are very capable of self-care and are not suffering from chronic health and/or cognitive conditions, and therefore do not require a high-level of care. In 2015, a new PACE Center will provide community-based care and services to people 55 and older to continue to live independently at home. “These programs will offer services for our grandparents, parents, and other loved ones who are getting older,” said Ana Melgoza, vice president of external affairs for SYHC. During the gala, County Supervisor Greg Cox, and his wife, Chula Vista Mayor Cheryl Cox, will receive the Health Champion Award for their contributions to protecting and promoting the health of underserved communities in the region. “We are honored to receive this recognition from the San Ysidro Health Center but the real success story is the incredible partnerships the County has made with community clinics to provide residents with more access to health services,” Supervisor Cox said. 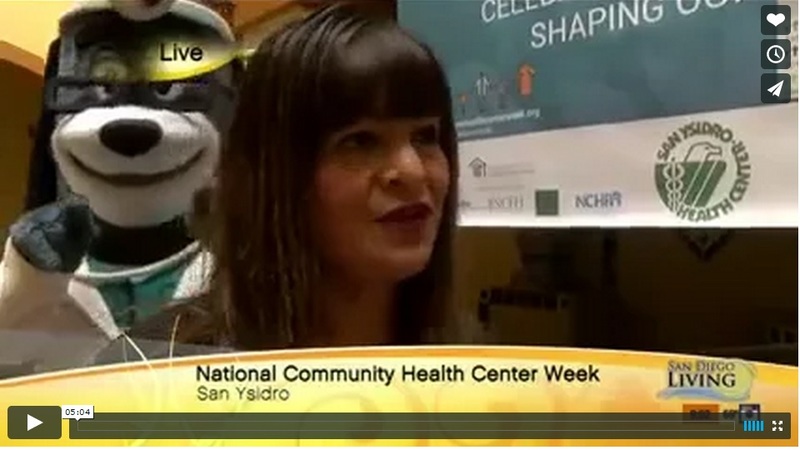 “San Ysidro Health Center provides critical services to the people who need it most. In addition to increasing its senior health programs, under the Affordable Care Act, SYHC is currently transitioning to an electronic health records system. But most of all, the Centro de Salud de San Ysidro, as it is known in Spanish, continues with the vision and original goal of that group of señoras and madres who made it possible for San Ysidro to have quality health care. By Katie SchoolovAbove: Since the start of Live Well San Diego four years ago, parents in the South County are doing more to encourage their children to live a healthier lifestyle. Healthy cooking, healthy eating and exercise are a big part of San Diego County’s Live Well San Diego education program. It’s a 10-year plan to improve the health and safety of the county’s more than 3 million residents and a forum was held Tuesday in National City to see how it’s working. Springtime and summer mean longer days to play and exercise outdoors and since the start of Live Well San Diego four years ago, parents in the South County are doing more to encourage their children to live a healthier lifestyle. National City has the highest obesity rate in the county and Supervisor Greg Cox brought together government, community organizations and healthcare providers to share lessons learned. Melgoza says the groups use to compete against each other, but now it’s about building relationships. County Park and Rec has a new brochure and map showing nearly a dozen places where you can enjoy the outdoors while getting some exercise. “That’s the message of Live Well. It’s to create these healthy relationships that create healthy families,” Melgoza said. Live Well San Diego is designed to educate all county residents by also promoting depression screenings and blood pressure checks. 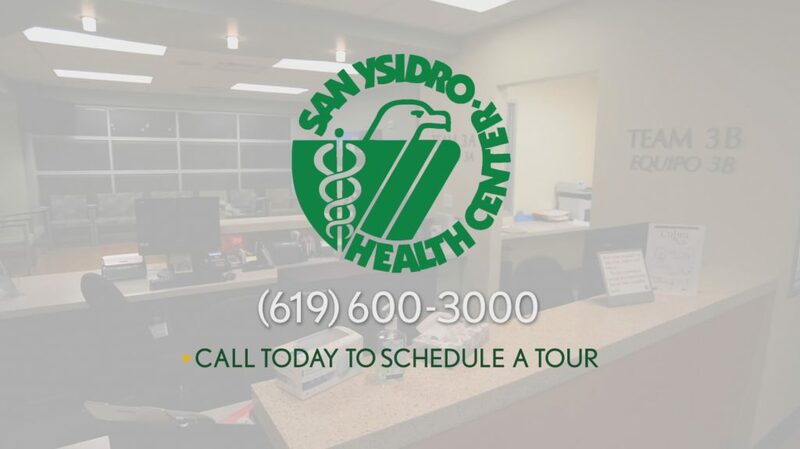 The San Ysidro Health Center is a network of clinics serving 86,000 people annually. 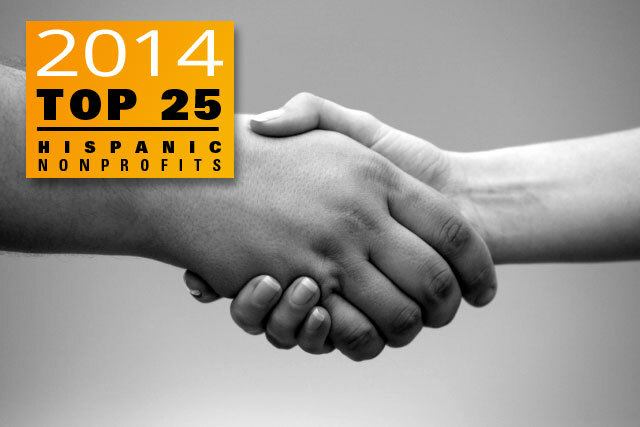 May 29, 2014, SAN DIEGO, CA—San Ysidro Health Center is pleased to announce its recent recognition by HispanicBusiness.com as among the top 25 Hispanic nonprofits in the nation in 2014. 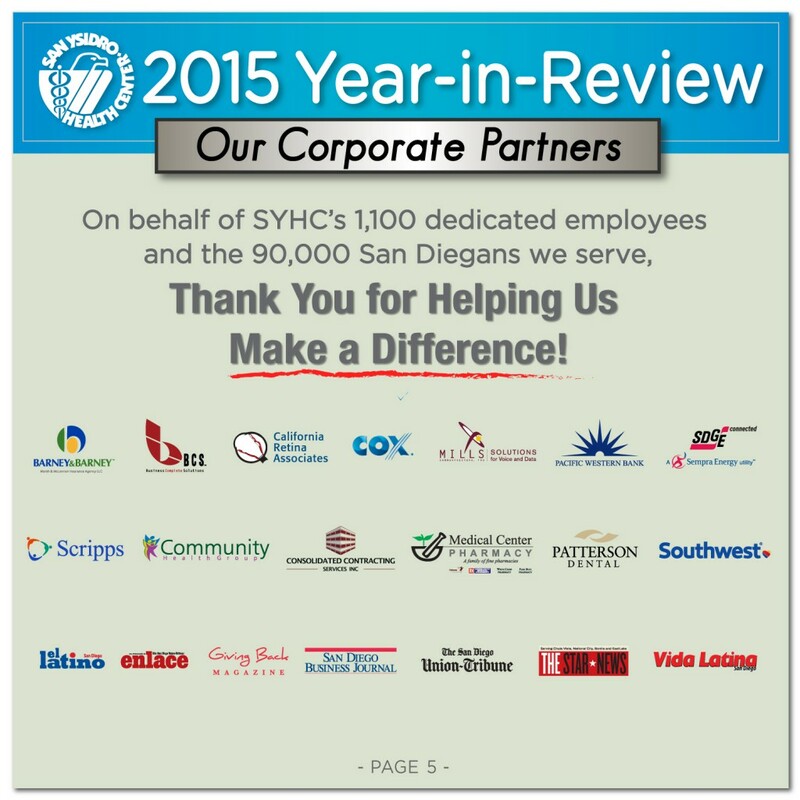 This special recognition ranks San Ysidro Health Center as No. 7 overall—a social enterprise that has responded to the challenge of tough economic times with creativity, innovation and perseverance. The second-largest Federally Qualified Health Center in the region, the mission of San Ysidro Health Center is “to “improve the health and well-being of our community’s traditionally underserved and culturally diverse people.” With a growing network of 27 health centers and programs in Southern, Southeastern, and Central San Diego, San Ysidro Health Center brings essential medical, dental, and counseling services to over 86,000 registered patients, representing 380,000+ patient visits, the majority of whom are women, children and seniors. “We have doubled our capacity in preparation for the influx of new patients under the Affordable Care Act and are able to provide high quality, culturally proficient, patient-centered care to more members of our community,” said SYHC President and CEO Kevin Mattson. HispanicBusiness.com identified nonprofit organizations from Internet database lists of tax-exempt organizations in the 50 states and the District of Columbia. A list of these organizations was sorted by financial criteria and screened for descriptions related to Hispanic issues. Qualified organizations were sent a survey asking for information. Organizations were ranked on the basis of annual expenditures. You can tell there’s something different about the Chula Vista Medical Center as soon as you walk in the door. Instead of your standard directory with providers listed in alphabetical order, there’s a brightly colored sign with nature photographs. Terry Whitaker is chief operating officer of the San Ysidro Health Center, which oversees the Chula Vista clinic. He explained each of the building’s three floors has its own theme, linked by a photo icon. Whitaker said to make it easier for patients to find their way, the appointment cards have photo icons, too. Upstairs, the exam rooms have hardwood floors and pastel-colored walls. All of the doctors, nurses, and medical assistants sit together in large, open spaces. Dr. Maria Carriedo-Ceniceros, the center’s chief medical officer, said there’s a good reason for that. It’s part of a new trend in primary care: integrating all members of the medical staff into one unit. Carriedo-Ceniceros said under the old system, physicians stayed in their offices between appointments, away from other team members. The idea behind the new concept is that having everyone in a single area fosters more collaboration and better care. Carriedo-Ceniceros said patients have noticed the difference. 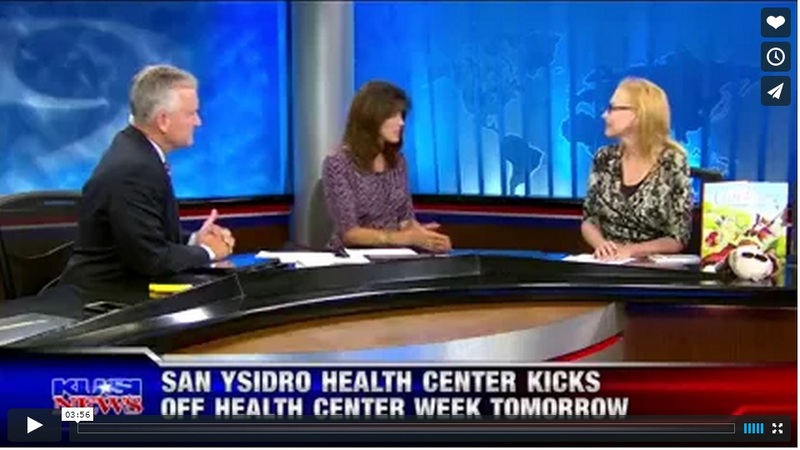 The San Ysidro Health Center has a network of clinics throughout the South Bay. About 1 in 4 households in the area makes less than $35,000 a year. More than half the San Ysidro Health Center’s 86,000 clients are uninsured. Part of their new mission is helping people sign up for insurance under Covered California. So the new clinic really fills a need. There are other community clinics in the South Bay, but none with the wide array of services under one roof, that the Chula Vista Medical Plaza has. In addition to primary care and pediatrics, there’s an urgent care center, behavioral health, and even dentistry, all in the same building. Patients no longer have to go to multiple locations to get all their needs met. Laura Borbon is severely anemic. She comes to the clinic a couple of times a week for treatment. Third-year medical resident Cristina Deis checks up on patient Laura Borbon, who’s being treated for anemia. Cristina Deis, a third-year resident in family medicine, said this clinic is a cut above most community health centers. Since it opened five months ago, the Chula Vista Medical Plaza has treated 13,000 people. SAN DIEGO, CA— On January 25, 2014, regional health champion The San Ysidro Health Center (SYHC) hosted elected officials and civic leaders for a ribbon-cutting ceremony commemorating the opening of its newest and largest satellite clinic, The Chula Vista Medical Plaza (CVMP) located at 678 3rd Avenue, Chula Vista, CA 91910. Dignitaries in attendance to celebrate the unprecedented expansion of state-of-the-art health services in the South County included Hon. Lorena Gonzalez, representing CA 80th Assembly District and Hon. Greg Cox, San Diego County Board of Supervisors. City of Chula Vista Mayor Hon. Cheryl Cox, Councilmember Mary Salas and Councilmember Pamela Bensoussan were also in attendance for a ceremony that included reflections from members of the SYHC provider family describing the impact CVMP will have in connecting the most medically underserved families with holistic, culturally appropriate comprehensive health services. SYHC purchased the 46,000 sq. 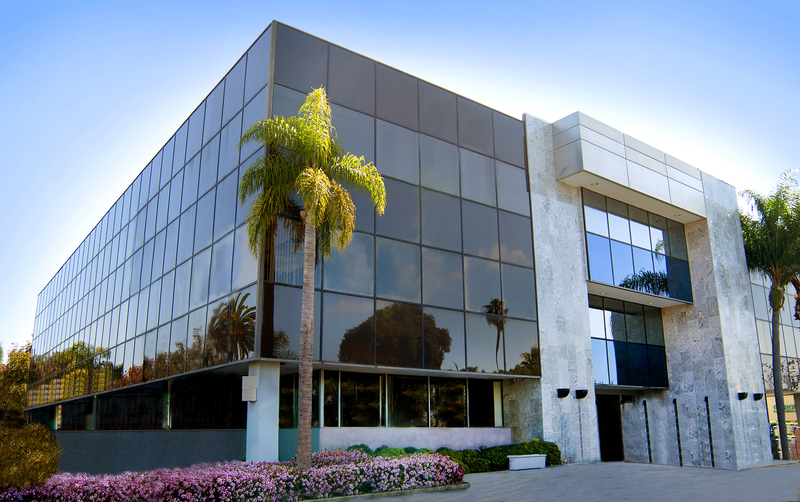 ft. building last March for approximately $12 million, before it was completely renovated to accommodate the consolidation of three of its satellite clinics – Chula Vista Family Clinic, a portion of Otay Family Health Center and South Bay Family Urgent Care Center – under one roof. The total cost of the project amounted to a $23 million investment. By increasing capacity at the new CVMP, SYHC will serve the estimated 30,000 uninsured South Region residents who will be eligible for new insurance coverage in 2014. At full operational capacity, SYHC anticipates that the CVMP will serve over 32,000 unduplicated individuals. According to Kevin Mattson, President and CEO of The San Ysidro Health Center, “Chula VistaMedicalPlaza guarantees a unique, patient-centered experience focusing on healing, preventative care and serving as our patients’ permanent medical home.” The facility has been designed around the concepts of The Patient Centered Medical Home (PCMH) model of care—the patient, not the support staff or provider, is the focus of all care and services. Within the building’s spacious, three-story layout are specialized service pods with well-planned and designed 60 medical exam rooms, 10 fully-equipped state-of-the-art dental operatories, a behavioral suite, a full-service, diagnostic laboratory, as well as a new radiology department featuring the latest advances in digital x-ray technology, health education/promotion services and social and support services. CHULA VISTA — South County residents looking to receive medical, dental and behavioral health services in one place can now do so at the Chula Vista Medical Plaza on Third Avenue. The facility is a division of the San Ysidro Health Center, which provides care for the low income, uninsured and Medi-Cal population, including more than 82,000 patients in central, south and southeastern San Diego. Construction of the $23 million facility began in March, and doors opened to patients Sept. 30. The building was purchased and built through state bond financing. “We want to make this facility really easy for patients to navigate, so what we’ve done is we’ve given each of the floors a theme … there’s a photo icon that goes with each of the services on the floor,” said Terry Whitaker, vice president of operations. 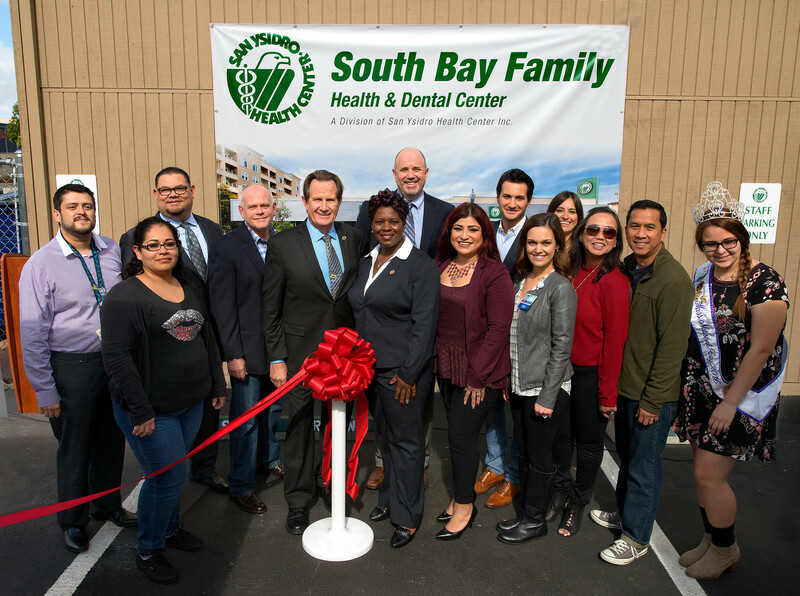 The renovated 46,000-square-foot facility is the result of the consolidation of three of its satellite facilities, including Chula Vista Family Clinic, a portion of Otay Family Health Center and South Bay Family Urgent Care Center. During the first month of operation in October, the facility had about 6,000 patient visits. While Chula Vista patients have previously received medical care, now behavioral and dental services are being offered in an effort to provide holistic health. Additional community health services include urgent care, pediatrics, women’s health, labs, radiology and pharmacy. The facility’s layout and design was created to reflect a patient-centric, healing environment intended to keep patients calm and stress-free while speeding their recovery. “It allows the physician to have an extended care team to deal with all the issues around the patient’s health,” said Kevin Mattson, president and CEO of San Ysidro Health Center. Whitaker said essential to that layout was the formation of pods that enable physicians or clinicians to work with social workers, dietitians and nurses in an open work space. San Ysidro Health Center and its divisions operate on a sliding fee scale for those who meet income guidelines and don’t qualify for Medi-Cal. Whitaker said these patients pay about 50 percent less than what it would cost elsewhere in the community. The new facility has 60 exam rooms, 10 state of the art dental rooms and three counseling rooms. The behavioral health staff sees patients of all ages with anything from anxiety and depression to abuse and chronic mental illness. The Chula Vista location is also a teaching facility with a family practice and dental residency programs that rotate through the clinic. “We’re training providers that hopefully will be staying in the community,” Whitaker said. Staff also helps enroll patients in plans made available through the Affordable Care Act. answer questions and providing facts. Specialists were on hand to assist attendees with the enrollment process. translation. There was also a resource fair. 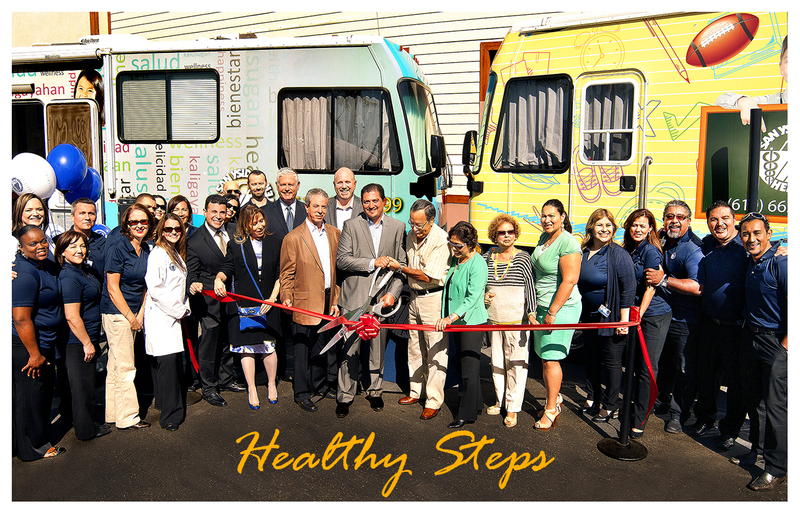 October 11, 2013 — San Ysidro Health Center celebrated the inauguration of its new fleet of state-of-the art mobile medical units, known as The Healthy Steps Program, at Northgate González Markets. The Dedication Ceremony will began at 10:00a.m. with tours of the mobile units, a mini health fair, plus education and enrollment assistance for the historic Affordable Care Act and Covered California™ —the new marketplace for affordable, private health insurance. The ribbon-cutting speakers’ program commenced at 10:20a.m. The Healthy Steps Program is one of SYHC’s premiere outreach programs connecting vulnerable families to a permanent medical home for essential health services. Last year, 3,000 patients were treated on the mobile medical units and connected with continual medical, dental and behavioral health care at one of SYHC’s ten clinics. With a 10 a.m. shotgun starting format, the golf fundraiser has green fees of $600 per golfer, with foursomes at $2,000. Registration includes 18 holes of golf, a golf cart, all food and beverages, and an awards dinner that immediately follows play. Awards dinner tickets are available for non-playing guests. This year’s tournament benefits the Chula Vista Medical Plaza, an extraordinary new 46,000 square foot facility offering comprehensive health care for underserved children and adults. The state-of-the-art medical plaza provides primary care, urgent care, dental and behavioral health services – all designed to assure a patient-centered experience that’s comprehensive, high quality, and affordable. Operated by San Ysidro Health Center, the new Chula Vista Medical Plaza will directly benefit from the 8th Annual Clásico de Golf, and all golfers participating in the Clásico are invited on personal tours of the new Plaza. 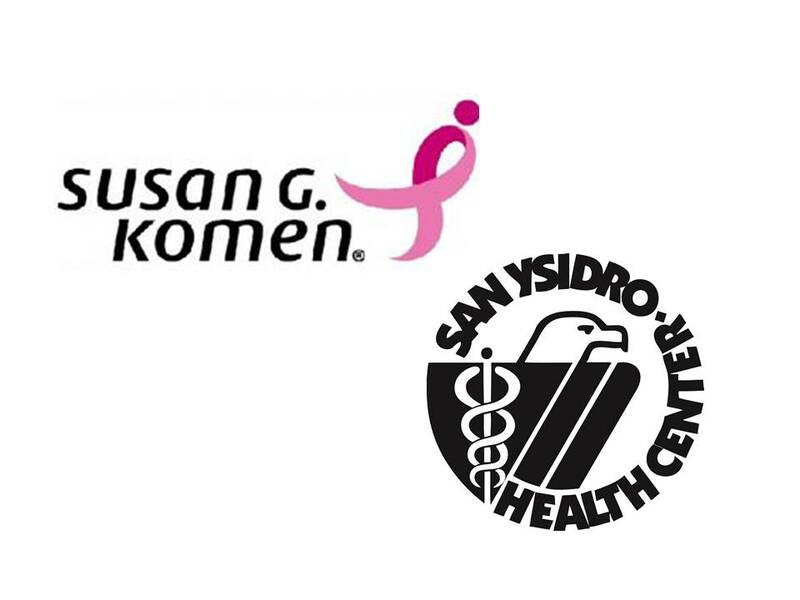 San Ysidro, CA – San Ysidro Health Center’s (SYHC) Board of Trustees has named Kevin Mattson as the organization’s President and CEO, Tony Weber as Vice President & Chief Financial Officer, Maria Carriedo-Ceniceros, MD as Vice President and Chief Medical Officer, Alicia Rodriguez, MBA as Vice President and Chief Information Officer and Ana Melgoza, MPA, as Vice President of External Affairs. The team will begin work immediately to prepare the organization for implementation of the Affordable Care Act (ACA) and the unveiling of its newest clinic, the Chula Vista Medical Plaza. San Ysidro Health Center, one of the county’s largest safety net providers, is dedicated to protecting, promoting, and improving the health and well being of its community’s traditionally underserved and culturally diverse people. The organization provides comprehensive primary care, dental, behavioral health services and family support programs to over 85,000 registered patients annually who reside in the South and Central/Southeastern Regions of San Diego County. Mr. Mattson, who served as SYHC’s interim President and CEO following the retirement of Ed Martinez, also served as Senior Vice President for 10 years at SYHC and was responsible for financial affairs. 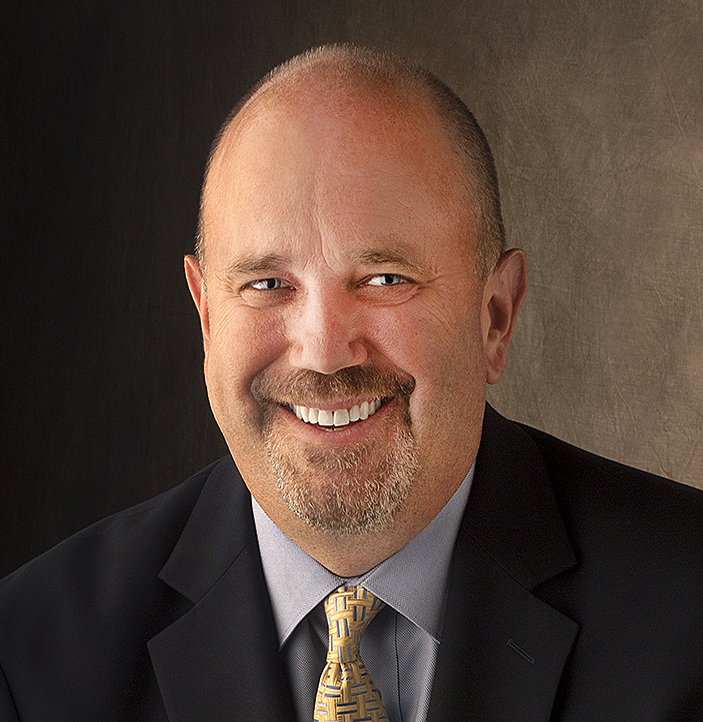 Mr. Mattson has more than 31 years of experience in the healthcare field. Mr. Mattson earned his B.A. in Business Administration from Chadron State College. He is a member of the American College of Healthcare Executives, Healthcare Financial Management Association and Medical Group Managers Association. Tony Weber, who served as Chief Financial Officer before transitioning to Vice President, is responsible for all financial operations for the organization which has more than 900 employees and a total operating budget of $80 million. Prior to this, Mr. Weber was Vice President of Finance for Family HealthCare Network. Mr. Weber has more than 10 years of hospital finance experience working for community hospitals and medical centers. Mr. Weber earned his MBA in Finance from Golden Gate University and a B.S. in Business Management Finance from Brigham Young University. Dr. Carriedo-Ceniceros, Vice President and Chief Medical Officer, has more than nine years of experience as a family medicine physician within the community health center setting. In addition, she has four years of clinic-lead experience, plus two years of experience as the Family Medicine Department Head. Dr. Carriedo-Ceniceros holds a BA in Economics from Harvard University. She earned her MD from the University of California, San Diego School of Medicine. Dr. Carriedo-Ceniceros has been a member of San Ysidro Women’s Club since 2009, serving as its Executive Board Treasurer since 2011, and also continues to serve as a faculty mentor for UCSD medical students. Alicia Rodriguez joined SYHC as Chief Information Officer before transitioning to Vice President. Prior to joining SYHC Ms. Rodriguez served as the Director of IT and Technical Project Manager for Cedars-Sinai Medical Center. She has also worked in similar roles for California Institute of Technology (Caltech) and was the Co-Founder of ARCH Technologies where she managed IT activities for Windows-based clients. Ms. Rodriguez’s has more than 10 years of technical project management and systems implementation experience and has spent the past several years leading initiatives in the healthcare IT industry. Ms. Rodriguez earned her MBA with an emphasis in Leadership and Change Management from Pepperdine University, and a B.Sc. from University of La Verne. Ana Melgoza served as Director of Public Affairs and Government Relations before transitioning to Vice President of External Affairs. She has 20 years of community and civic engagement experience in the public and corporate sectors. She has been with SYHC for eight years. She earned her Masters in Public Administration from the Baruch School of Public Affairs in New York City as a National Urban Fellow and her BA from Rockhurst University in Kansas City, Missouri. She is a graduate of LEAD San Diego and of the HOPE Leadership Institute. Ana currently serves on the board for the South County Economic Development Council. In addition to preparing the organization for implementation of the Affordable Care Act, the executive team will spearhead the opening of the health center’s new Chula Vista Medical Plaza, scheduled for October 2013, located at 678 3rd Avenue, Chula Vista, CA, 91910. This state-of-the-art, 46,000 square foot, newly renovated, three-story facility offers high quality, affordable, convenient and comprehensive care for children and adults, including urgent care; primary care (family practice, OB/GYN, pediatrics); dental; and behavioral health services. The facility’s three-story layout offers specialized service pods with contemporary waiting areas, 70 medical exam rooms, 10 fully-equipped dental operatories, comfortable counseling offices, a full-service, diagnostic laboratory, as well as a new radiology department featuring the latest advances in digital x-ray technology, plus other supportive and social services. New Health Care Benefits For You and Your Family! A new federal law called The Affordable Care Act (ACA), also known as “Obamacare,” will soon make health insurance more available and affordable for more individuals and families. We at San Ysidro Health Center (SYHC) are ready to provide you and your family with the information you need to take advantage of these new and exciting changes. Beginning October 2013, people who don’t have insurance or can’t afford their current insurance may be eligible for Medi-Cal under new changes or can purchase new low-cost insurance plans that have more protections and benefits than ever before! Starting today, we are here to help you understand what this means for you and your family and answer any questions you may have. READ ABOUT THE IMPORTANT CHANGES THAT MAY AFFECT YOU! If you and your family do not have health insurance, you will need to apply for Medi-Cal or purchase new low-cost health insurance between October 1, 2013 and March 31st, 2014. Beginning October 1, 2013, individuals and families in California will be able to apply for Medi-Cal or shop for health insurance through an organization called Covered California. A new website will soon be available where individuals can easily find out what type of insurance they qualify for, compare the new insurance plans and determine if they can receive financial help to pay the monthly cost. If you did not qualify for Medi-Cal before, you may be eligible starting in October 2013. For example, beginning in October adults without children may qualify (currently these individuals do not qualify). Also if you make less than $15,282 or you have a family of four with a combined income of less than $31,555 then you are now eligible for Medi-Cal. If you don’t meet the Medi-Cal income requirement, you have a second option. For individuals who make more than $15,282 but less than $28,725 for a family of four with combined income between $31,555 – 58,875 and are still unable to afford private insurance, the Medi-Cal Bridge Plan is available. It will be sold through Covered California, will cost less than private plans and most will qualify for financial help to pay for it. If you don’t qualify for Medi-Cal, you will be able to purchase NEW low-cost private health insurance. 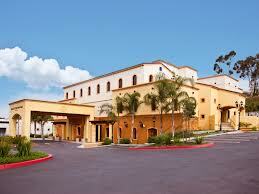 In San Diego the plans include 1) Anthem 2) Blue Shield 3) HealthNet 4) Kaiser 5) Molina and 6) Sharp. The major difference between the plans will be the monthly cost based on the type of coverage you can afford and the doctors and hospitals included in the plan. All the insurance plans will soon have to cover the same prevention care and 10 health services. The new law will require that all insurance plans must provide free services such as annual check-ups for women, health screening tests (for Cancer, Diabetes, HIV, etc. ), birth control, breast feeding supplies, domestic violence counseling. Children and adults will no longer be turned away from insurance plans based on pre-existing conditions. By January 2014, insurance companies will no longer be able to deny coverage to people with pre-existing conditions or charge them more. Most individuals with incomes less than $28,000 and families of four with incomes less than $58,000 will qualify for financial support from the Federal or State government to pay for health insurance. An online calculator is available on Covered California’s website to determine amount of assistance and the individual’s share of cost. Lawfully present immigrants (including new residents living in the U.S. under 5 years) are eligible to purchase private plans through Covered California. In addition, they are also eligible for financial assistance. SYHC has special assistants that will guide you and help you understand how these changes benefit you and your family. Please contact us at 619-662-4100 for more information. Families will soon be able to sign up for new health insurance options through The Affordable Care Act. In Washington, D.C., Dr. Cheryl Focht of Mary’s Center performs a checkup of Jayson Gonzalez, 16, while his mother, Elizabeth Lopez, looks on. SAN DIEGO — Seven health centers in San Diego County have received federal grants to help enroll people in new insurance plans under The Affordable Care Act. The centers will receive a total of more than $2 million to fund the effort. Family Health Centers of San Diego won the largest local award, which totals more than $861,000. The nonprofit organization will use the money to hire outreach workers, application assistants and a social media coordinator. Spokeswoman Jeannette Lawrence Shay said for the next few months, staff members will try to spread the word about The Affordable Care Act. “But, once it becomes October 1 and people can actually sign up for Covered California and the expanded Medi-Cal, our staff will be sitting with people one-on-one helping people complete their applications, get all of the documentation they need and submit them,” Shay said. 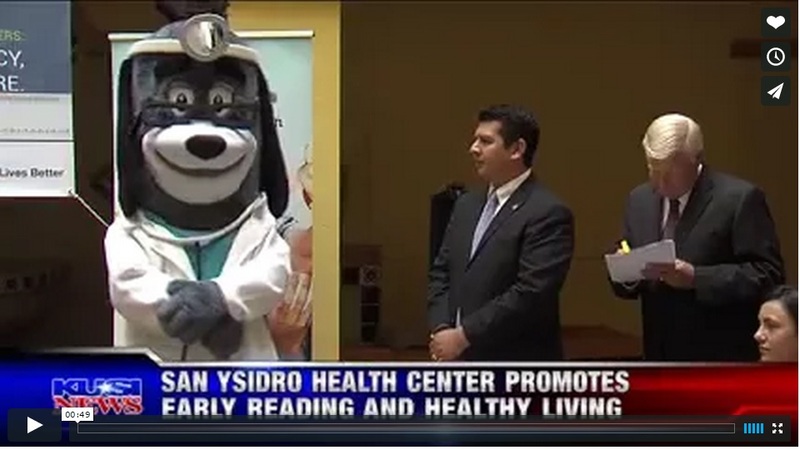 San Ysidro Health Center also received a grant to do outreach and enrollment. It operates 11 clinics in the South Bay region. The center’s president, Kevin Mattson, said anyone can get primary care at his clinics and that those who enroll in one of the new insurance plans will have expanded access. “These patients, by getting on the insurance exchange or Covered California, would have coverage for specialty care, hospitalizations, surgery, outpatient surgery — all the other diagnostic things that we don’t do at San Ysidro Health Center,” Mattson said. Statewide, health centers have received nearly $22 million to enroll the uninsured. Officials hope to provide more than 500,000 Californians with new health coverage. When it comes to getting her kids the healthcare she needs, Monica Villalobos faces many challenges. A single mom with three kids under five, she doesn’t have a car, works long hours and shares parenting with her mom, who speaks very little English. But it was easy for her to find her way to the Healthy Steps Medical Mobile Unit from the San Ysidro Health Center – they set up a mobile services truck in the parking lot of her grocery store on Thursdays. The grocery store parking lot is across from the mobile home park where her family lives. Physicians’ Assistant Tara Oliveri and Medical Assistant Marissa Machaen see walk-in patients as well as those with appointments, for everything from the minimum exams required by schools to counseling pregnant teens and arranging for mammograms for abuelitas. “It happens all the time that people come out of apartments in P.J.s and slippers and come to the bus,” Oliveri said. At a table outside, patients are set up with insurance that gives them a month or two of coverage and then sent inside the van, with its intake area near the driver’s end and exam room at the rear. In the intake area, Machaen gets patients’ vitals, checks their vision and hearing, does tuberculosis screening, checks their glucose if needed, and their hemoglobin. For both Oliveri and Machaen, the visits – which often are for school entry exams – are a chance to begin engaging a whole family in healthy living. San Ysidro Clinic started the Mobile Medical clinics in 2001, and the program has proved invaluable to underserved communities. Last year, the clinic’s two buses saw 3,091 patients at a variety of locations including food drives at Cesar Chavez Park and churches in San Ysidro, Barrio Logan and City Heights. Northgate Markets, a family-owned chain of more than 30 grocery stores in predominantly Hispanic areas in Los Angeles, Orange and San Diego counties, gives the mobile medical buses parking lot space at five of the San Diego stores – in City Heights, Barrio Logan, Chula Vista and San Ysidro – on a weekly schedule. The partnership has been fruitful – figuratively and literally. The stores have color-coded nutritional signs on the food, so a patient can carry the nutrition sheet into the store and pick out the vitamin and iron-rich foods they just learned they should be eating. Many of the walk-in patients at the Northgate days are Northgate shoppers, people with sniffles or a sick child, or seeking a flu shot. The stores also help the clinic get the word out about programs, Sanchez said. “You know we all have to shop,” she said. A unique San Diego diversion program may be the last chance for many troubled local kids to stay out of the criminal justice system. 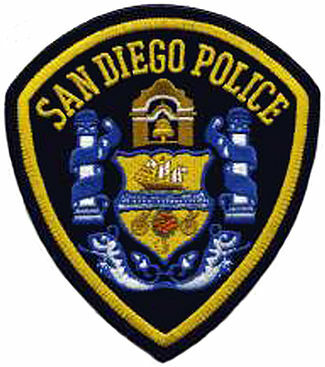 Jay Moser, a San Diego police sergeant who runs the program, employs a combination of “Scared Straight” tactics for the kids and a parenting class for their families that steeps them in ideas about who their kids are, how to better connect with them and how to manage their own frustration and anger. The strike team added the parenting component to the existing diversion program a little over a year ago – with the full support of Police Chief William Lansdowne, a surprise guest at a recent session. The program is showing results, Moser said. After a year – about eight four-week sessions, the kids they pull in after their first arrest are two and a half times less likely to be rearrested. And the parents have started trickling into the clinic’s satellite offices for more parenting skills to deal with their other children. Many of the kids are picked up on truancy or curfew sweeps, and the average age is 16 – though Juvenile Services Team Officer Tyler Deyling says he’s seen kids who were arrested days before their 18th birthday. One young woman at the most recent session was arrested selling marijuana within a week of becoming an adult. Deyling starts the sessions by making the kids tuck in their shirts. Then he introduced a series of working officers from the California Department of Corrections – the prisons – and the county parole office who talked to the kids about what they see and do at work each day. Other sessions included a visit with a Juvenile Court judge who explained just how much of their freedom and their rights they would lose – down to having to wear someone else’s underwear because of the laundry practices at juvenile hall. Later in the program, the kids will meet some parolees, through the Off The Streets program and talk with someone who just got out of prison and must build a life from scratch, with a criminal conviction. The social workers leading the parents’ sessions – in English in one room and Spanish next door – try to explain different levels of communication to help parents deal with their kids in ways that tells them how much they care, rather than how angry the parents are. But three weeks is a short time to work on some pretty serious issues, Sanchez said. A dental group in Chula Vista has donated six flat-screen televisions to the dental facility at San Ysidro Health Center. Members of The Super Dentists, a group specializing in orthodontic and pediatric care for children, teens and adults, said the gift helped support San Ysidro Health Center’s mission to provide low cost, high quality, comprehensive primary care services to low income families. And, it will help make going to the dentist a more enjoyable experience for kids, they say. The dentists say they hoped to provide patients with a more relaxing and stress-free environment as they await dental appointments. Perla Johnson, whose daughter is a patient at the health center’s dental clinic, said the TVs have made a marked difference in her child’s experience. 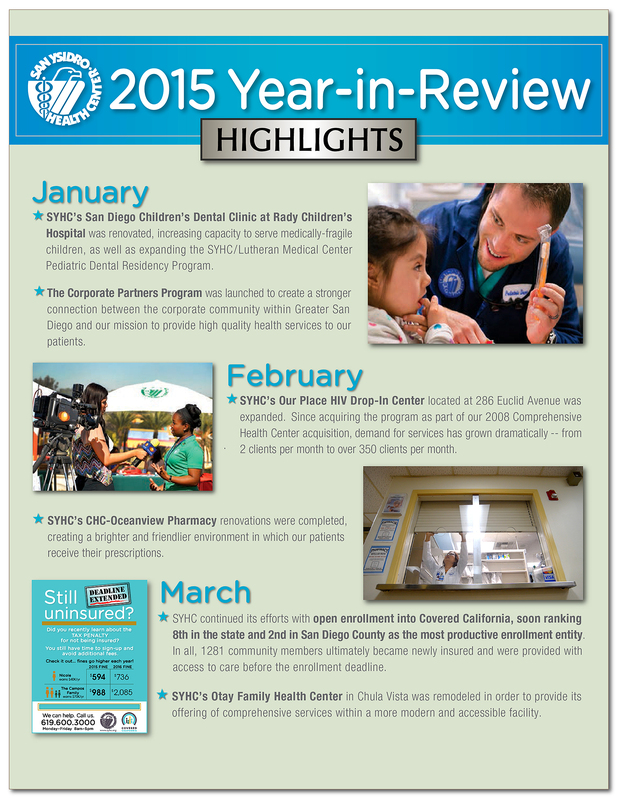 San Ysidro Health Center Keeps Growing! Residents in southeastern San Diego will soon have a new place to turn when they need medical care. The San Ysidro Health Center plans to open its new three-story King-Chavez Health Center this week at 950 S. Euclid Ave., where adults and children can receive medical, dental and mental health services regardless of their ability to pay. The center, made possible by a highly competitive $9.7 million federal stimulus grant, is the San Ysidro system’s latest effort in a remarkable journey to expand care to low-income residents in underserved areas. Since it was founded in 1969 in a rundown house by seven immigrant women determined to bring a doctor to their poor South Bay community, the nonprofit has blossomed into one of the largest community clinic systems in the county. Today, San Ysidro Health Center has 815 employees and a $63 million annual budget to operate 10 medical clinics, four dental clinics and other programs that serve 80,000 registered patients — half of them uninsured — in South Bay and central San Diego. The new 25,000-square-foot clinic is more than three times the size of the nonprofit’s Comprehensive Health Center three blocks to the north. Most of the services at the older clinic will shift to King-Chavez, although the Euclid Family Counseling Center will remain behind. The handsome earth-toned King-Chavez center has its own lab and X-ray departments, and offers adult mental health services, 12 medical exam rooms and a 10-chair dental department that includes a special unit tailored for medically fragile or special needs adults. The special needs dentistry is a partnership with A.T. Still University’s Arizona School of Dentistry and Oral Health. Jack Dillenberg, the school’s dean, said he was pleased to work with the San Ysidro health system on its newest clinic. The school donated $200,000 to help build the dental department at the King-Chavez Health Center, where a faculty member will be on staff and fourth-year students will do rotations. Patients in the San Ysidro clinics without public or private insurance pay on a sliding scale. Counselors also help patients apply for Medi-Cal or other public programs. County Supervisor Greg Cox attributed much of San Ysidro Health Center’s success to Martinez and his ability to secure federal, state and local grants, as well as private donations. Martinez, 67, was hired as chief executive in 1998 as the nonprofit was struggling, burdened with a $3.2 million debt to the Internal Revenue Service. The clinic was losing doctors, supplies arrived COD and morale was in the cellar. “The good thing was we had an excellent staff providing good care and an established relationship with a community that trusted us,” he said. Martinez, who has a master’s degree in public health-hospital administration from Yale University and a master’s degree in public administration from San Diego State, stabilized things and paid off the IRS debt within 18 months. “I still have the canceled check in my office,” he said. Martinez had plenty of health care experience behind him, having been CEO of Harbor View Medical Center in San Diego and the Community Health Center of Southern Nevada before arriving at the nonprofit. By 2002, San Ysidro Health Center had 300 employees and a $20 million budget. Those numbers and its facilities have about tripled since then. The San Ysidro nonprofit employs a “holistic approach” in providing comprehensive services in a system that respects the cultural and linguistic diversity of the communities it serves, he said. Dr. Ralph Hernandez employs that holistic approach every day, he said. Hernandez will move from the Comprehensive Health Center on Euclid Avenue to the King-Chavez center this week. Hernandez grew up in the neighborhood “off Imperial Avenue,” earned a bachelor’s degree at UC San Diego and graduated from The University of Utah School of Medicine 25 years ago. He worked at San Ysidro Health Center for a few years before moving to Kaiser Permanente. Three years ago, he returned to the health center. “I have patients who are homeless or near homelessness. What I’m seeing is that good health requires, not just a prescription, but medical guidance, education, and support,” he said. Hernandez mentioned a recent patient who couldn’t afford medication for his diabetes-related illnesses. That’s a question Hernandez has learned to ask. But, Hernandez said a key part of his job also is education — explaining the importance of the medication and taking time to discuss diet and lifestyle changes. Many patients also suffer from depression, debilitating stress or other mental health issues that can go undiagnosed in a quick office visit. “I’m grateful to this organization that we can take the time to find out some of the underlying problems,” Hernandez said. He expects the new King-Chavez center to help him provide more efficient care because all services — medical, dental, mental health, lab facilities, radiology — will be under one roof. Martinez said the King-Chavez clinic — like the entire San Ysidro system — is designed to create a medical home where low-income residents can get preventive care as well as comprehensive medical services. He said that philosophy dovetails with the Obama administration’s health reform law, The Affordable Care Act, and probably helped secure the federal grant to build King-Chavez. The clinic also serves a particularly vulnerable population. Residents in the area have substantially higher rates of diabetes, asthma, heart disease, HIV, stroke, and prostate and cervical cancers than the county as a whole, according to county health statistics. The Affordable Care Act vastly expands Medicaid — called Medi-Cal in California — so that about 20 million more people nationwide will have coverage in 2014. The federal law envisions most going to community clinics for health care, and millions of dollars in federal grants have been issued to help clinics gear up for the influx. Martinez said he thinks his clinics probably already see many of those uninsured in his service areas, but that the clinics will benefit from getting Medi-Cal payments. And, he hopes The Obama Administration will see the King-Chavez Health Center as a model program. Healthy Smiles, Healthy Children (HSHC): The Foundation of the American Academy of Pediatric Dentistry (AAPD), and San Ysidro Health Center (SYHC) will hold a joint press briefing on Wednesday, May 23, 2012 at 11:00 a.m. to address the state of pediatric dentistry in San Diego and the nation. The press briefing will take place at San Diego Children’s Dental Clinic: 8110 Birmingham Way, Building 28, on the Rady Children’s Hospital campus. The event will include HSHC’s recognition of SYHC’s San Diego Children’s Dental Clinic as one of 10 Access to Care Grants recipients in the nation. The clinic will receive $20,000 in support of its efforts to provide oral health care access to underserved, at-risk children. The press briefing will also commemorate the City of San Diego Community Development Block Grant award of $1,459,180 to San Ysidro Health Center for expansion of its San Diego Children’s Dental Clinic. The Children’s Dental Clinic provides comprehensive oral health services to low income children living throughout San Diego County, including all council districts within the City of San Diego. The clinic’s services are housed within Rady Children’s Hospital and is the only hospital-based pediatric dental clinic in San Diego County where medically fragile and special needs children can access comprehensive preventive and therapeutic oral health services, including orthodontics and sedation dentistry. According to Curtis, the HSHC Board of Trustees decided to increase the number of grants awarded this year after receiving more than 300 submissions — the most proposals from any grant cycle to-date for the third-year pilot initiative. Grant funding may be applied to cover costs of clinic supplies and instruments, patient/ parent education materials, take-home supplies (toothbrushes, toothpaste, etc. ), education and/or outreach to recruit dentist participation in program activities, or other activity with clear, direct impact on child oral care. Ed Martinez, President and CEO of SYHC noted that the U.S. Surgeon General’s report of 2000 identified dental decay as the most common untreated chronic childhood illness in America. Poor oral health poses a serious threat to the overall health and development of millions of young children, but receives far less attention than more widely-publicized concerns such as obesity, diabetes and asthma. 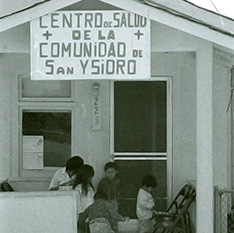 SAN YSIDRO — The San Ysidro Health Center celebrates its 40th anniversary today with a gala in downtown San Diego. But much of the focus could easily be on the past two or so years. The health care organization, which began as a volunteer clinic in a dilapidated house near the border, has been busy expanding and positioning itself for the future. Since April of last year, the center has doubled the number of medical clinics it operates to 10, taken over a pediatric dental clinic and opened an $18.6 million facility for women and children at its main clinic on Beyer Boulevard. 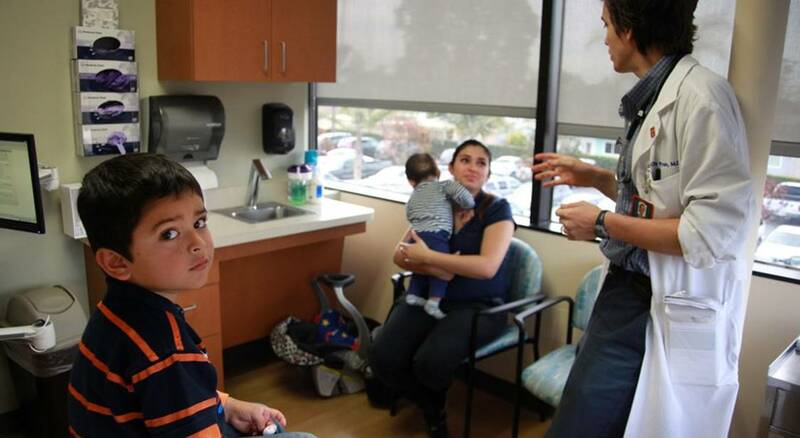 With 60,000 registered patients — mainly lower-income Latino families from South County and southeastern San Diego — the San Ysidro Health Center is one of the largest community clinic organizations in the region. “Those who know us are really amazed by the journey from the little casita 40 years ago to this building here,” said Martinez, referring to the Maternal and Child Health Center, which opened in May. The facility provides everything from prenatal care to pediatric dentistry. The San Ysidro Health Center tonight will honor two of its founders, Carmen Martinez and Lupita Cazares, along with Janet Murguia, president of the National Council of La Raza, and the California Endowment at the US Grant Hotel. 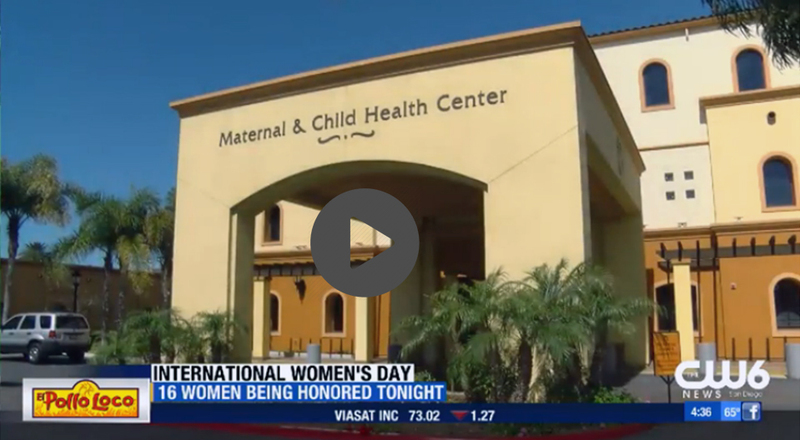 The health center was founded by a group of mothers who enlisted the help of the University of California San Diego’s School of Medicine to bring health care to their community. UCSD wrote a grant requesting federal funds to open a community health center, and a small house was acquired from the California Department of Transportation. A larger clinic opened a few years later. “They never had an idea that the first clinic here would grow into such a network,” Martinez said. The San Ysidro Health Center today has a $50 million budget, employs about 650 people and operates 24 medical, dental, counseling and other services. About half of its patients have no insurance, and most of the rest receive Medi-Cal or Medicare. County Supervisor Greg Cox said the health center has excelled in identifying needs in underserved communities and competing for program funding. “They’ve grown into one of the premier clinics in the San Diego region,” he said. Cox worked with the center last year when it opened the South Bay Family Urgent Care Center on Fourth Avenue in Chula Vista. Steve O’Kane, chief executive officer of the Council of Community Clinics, praised the center for rescuing three community clinics in Logan Heights, Lincoln Acres and downtown San Diego last year when it took over the financially troubled Comprehensive Health Care Center. “Because of their financial stability, they were able to step in,” he said. Also, last month the San Ysidro Health Center, funded with $1.3 million in federal stimulus money, opened the Paradise Hills Family Clinic on East Eighth Street in National City. And in April last year, it assumed control of the pediatric dental clinic at Rady Children’s Hospital in San Diego. Martinez said the center is poised to take on more patients, especially if health care reform expands coverage to more poor and uninsured people. “We have the building blocks in place based on our current growth for health reform,” he said.